The park has five major hiking areas to explore, each with multiple trails that accommodate various skill levels. Old Man’s Cave is usually the first stop for new hikers to the area, so the trails are more congested, especially on the weekends. The other sites to visit include Cantwell Cliffs, Conkle’s Hollow, Cedar Falls, andRockhouse. 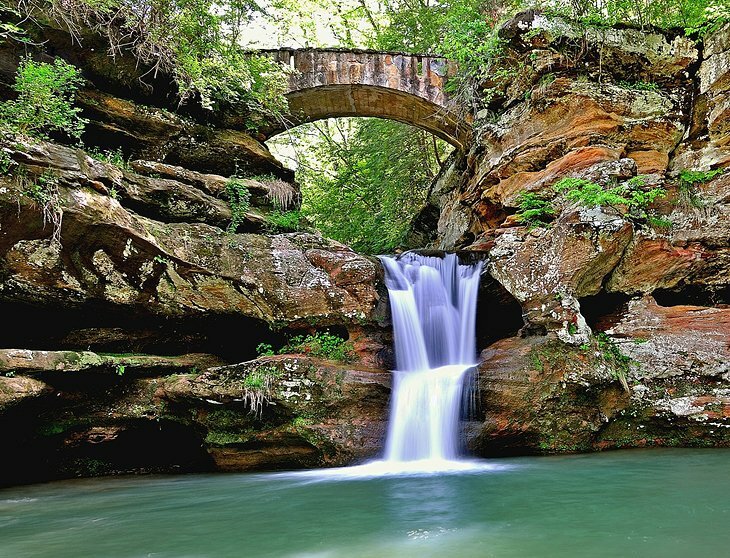 Hocking Hills has a full menu of outdoor recreation options including canoeing, zip-lining, horseback riding, and rock climbing. These activities are each offered by independent operators in the area. It is worth your time to stop by the visitor’s center on your way into the park to get maps and recommendations for reputable excursion companies.